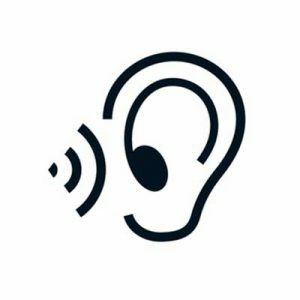 According to the National Institute on Deafness and Other Communication Disorders (NIDCD), 25 percent of people between ages 65 and 74 have disabling hearing loss. This number increases to 50 percent for people over the age of 75. There’s a good chance you could benefit from using a hearing aid at some point, but how do you go about choosing one? We’ve rounded up eight key hearing aid features you’ll want to keep in mind as you shop. Hearing aids come with varying numbers of channels. Channels are filters that cover a range of frequencies that are analyzed and reproduced by your hearing aid. For instance, you may find a model that has two channels and another that has six channels. The right number of channels depends on your specific hearing needs. Just because one model has more channels does not mean it is a better fit. If your hearing loss is more complex and you have difficulty hearing certain ranges, adjusting the settings on specific channels will help you hear a more natural sound. Keep in mind, a multi-channel hearing aid doesn’t mean it has a bigger bandwidth. It means the hearing aid divides sound into more frequency sections for separate analysis. For example, a hearing aid with three channels treats all sounds under 1,000 Hz as low frequency, all sound between 1,000 and 3,000 Hz as mid-frequency and all sounds over 3,000 Hz as high frequency. Your doctor determines whether you need a multi-channel or single-channel hearing aid based on your hearing test. Advanced, sometimes called adaptive directionality refers to a hearing aid’s ability to filter and direct sound in a given environment. Advanced directionality uses two microphones in the hearing aid to take in sound and automatically filter out background noise. In everyday life, you’re expected to hear in noisy environments, such as a restaurant where the person you’re talking to sits across from you in a room filled with background noise. Using a hearing aid with effective directionality lets the hearing aid focus on the conversation you’re having with less emphasis on other noises surrounding you. Often, it enables you to hear better in noisy, outdoor environments than you’d otherwise be able to. Many hearing aids come with basic directionality, but you may find that advanced or adaptive directionality works better. Feedback is that loud, annoying whistling noise you may have experienced when someone brings a microphone too close to an amplifier. There are other ways to get feedback from electronic devices. In a hearing aid, feedback can be a particularly painful problem since the speaker is located in or near your ear canal. Feedback suppression in hearing aids is important and, in most cases, standard. If feedback is particularly problematic, there are models available with advanced feedback suppression systems. Like directionality, noise reduction features work with speech enhancement to block out noises like a neighbor mowing their yard while making it easier to understand speech. Nearly every hearing aid sold today offers noise reduction. However, not all noise reduction technologies are of the same quality. You may have to try out several different hearing aids to see which one offers enough noise reduction to make a difference for your hearing loss level. ionality Gives preference to sound coming from in front of the wearer. Reduces sounds coming from multiple directions. Improves speech and understanding when background noise is prevalent. Feedback MGT Reduces or eliminates feedback in the ear. Improves listening comfort and loud or painful feedback whistling. Telecoil Picks up signals from electromagnetically looped systems, like a telephone. Signals bypass the microphone and go straight to the processor, eliminating feedback and improving noise to signal ratio. Wind Noise Reduction Reduces the noise of wind blowing across the microphone. Improves comfort for those who spend a lot of time outdoors. Direct Audio Input Enables hearing aids to connect to TV and smartphones, via Bluetooth. Improves signal to noise ratio and turns your hearing aid into headphones. With direct audio input, you can connect your radio or TV into your hearing aid via a Bluetooth connection. If you typically have to increase the volume of the TV substantially to hear, a hearing aid with direct audio input may be a welcome feature for you and family members or roommates. This feature essentially transforms your hearing aid into headphones. If you spend ample time on a boat, hiking in the mountains, at concerts, or in an area with a particularly windy climate, choosing a hearing aid with wind suppression might be a smart move. Wind suppression technology limits the wind noise that you hear through the hearing aid. Without it, you may find it difficult to hear anything well in a windy environment. A telecoil is a tiny coil in your hearing aid that works as a receiver that picks up signals acting as an electromagnetic field. Sometimes referred to as a T-coil, a telecoil switch lets you switch how your hearing aid operates. Instead of relying on the microphone, the hearing aid operates using a magnetic coil. With the telecoil as the input source, background noise is shut out, improving the quality of the audio on your telephone, in movie theaters, and many other ADA-compliant places. Just like with other technologies like TV antennas, the industry for hearing aids is moving toward digital. Analog hearing aids basically take sounds and make them louder. Digital hearing aids take sound waves and interpret them into a digital format. Then they process, filter, distort and amplify that digital format into a custom range based on your hearing needs. Analog hearing aids are less expensive than digital hearing aids. However, if you can afford a digital hearing aid, it is likely worth the extra cost. 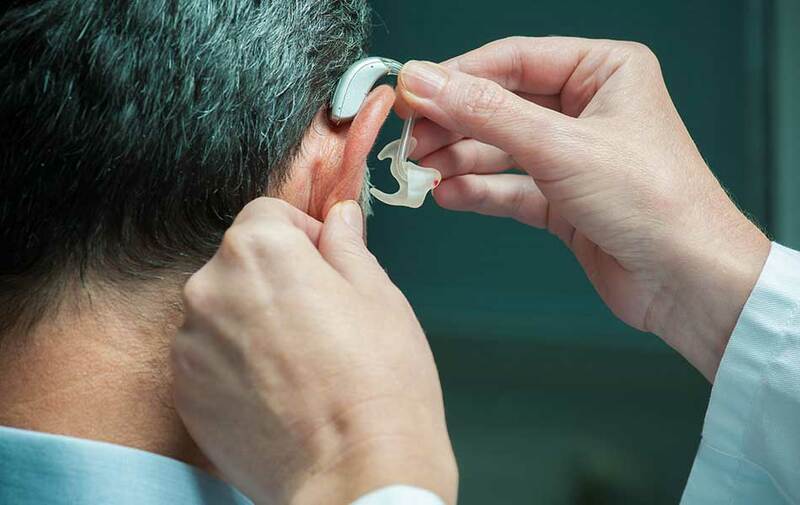 Many digital hearing aids enhance sounds beyond merely amplifying them and have added features, flexibility, and adaptiveness compared to analog models. There are many styles of hearing aids to choose from, such as behind the ear, in the canal, and in the ear. There is not one style that works best for every person. Some people are uncomfortable with a hearing aid in their ear canal and feel that it blocks the natural sound. However, other people prefer it. Take time trying on hearing aids in different styles to know what you can be comfortable with. There are many factors that impact the decision of which hearing aid is the right one for you. This includes the type of hearing loss you have, your lifestyle, and what situations you frequently find yourself in. If you have questions, it makes sense to schedule an appointment with a reputable audiologist or hearing aid supplier to gather more information about your unique situation.